In a wide-reaching interview with gamesindustry.biz, Epic Games CEO Tim Sweeney espoused the need for better developer rates, comparing games to Netflix and accepting his company’s methods are unlikely to please everyone. The talk revealed Sweeney’s opinion on several practices of the Epic Launcher, but gamers are most likely to latch onto his thoughts on exclusives. 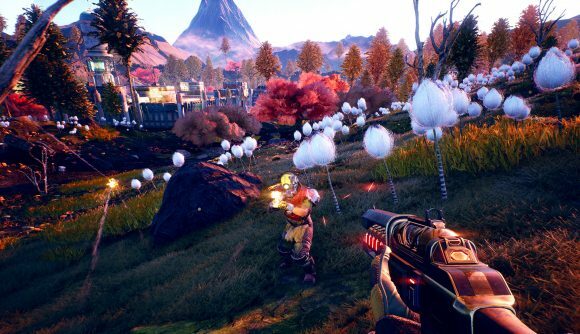 With the announcement of The Outer Worlds and Detroit: Become Human for the platform, it’s clear the company won’t slow any time soon, but its CEO has doubled down on its methodology. Sweeney reiterates that his company’s goal is “breaking the 70/30 stranglehold that’s pervaded the industry for more than a decade”, though he stresses that he doesn’t believe gamers should be expected to understand “the hardship of making a payroll”. Critics of the Epic Launcher generally believe that it fails to match the features of Steam in many ways, and that its exclusive practices are actually a negative for the industry. Some would argue that it should at least match its competitor before it begins to poach games from it. Gamers have also raised concerns about Epic’s 40% investor, Tencent, and the data its launcher collects. VP Daniel Vogel assures gamers everything is above board and that information is sent exclusively to Epic when necessary. It’s also worth noting that all games from the launcher will soon be available on the Humble Store. Sweeney says he’s open to working with other companies in this regard, so long as they’re reputable. To developers, though, Sweeney encourages perseverance. “It’s important for game developers to hold strong and sometimes be willing to go through criticism as we do things that are necessary for the industry,” he says. In the meantime, the Epic Games Store will have a laser focus on quality and curation (a clear dig at Steam’s marketplace). It will also continue to offer free games, with titles like Subnautica and Slime Rancher downloaded over 4 million times. Related: The best Fortnite creative codes from the community. Sweeney clearly believes that good games are the main driver of a successful store. Epic definitely has a few of those under its thumb, for better or for worse.